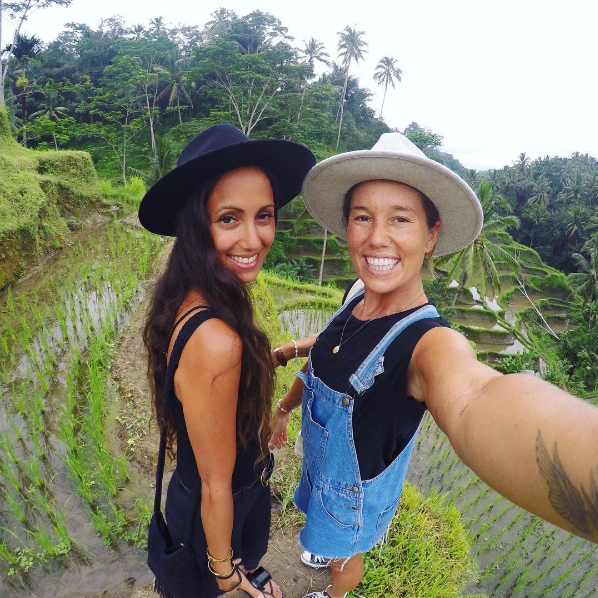 What It’s Like To Travel With Your BFF, Boyfriend or Go Solo! What’s it like to travel with your boyfriend? Your BFF? Or… by yourself? We asked three travel bloggers all about it! I make up one-half of Flying The Nest, which is a travel blog and daily travel vlogging channel on Youtube. My passion is travel which has fortunately, lead to being my full-time job at the present. I used to be a primary school teacher, but one day I quit my job and packed my bags to travel the world full time. For the past 540 days, I have filmed and uploaded my life onto Youtube which has become a passion project in itself for me. There is such an immense drive knowing that in the future I can pick any day, sit down and watch what I got up to – it’s incredibly motivational! What is your current destination and how did you come to be there? As of writing, I’m currently somewhere in the middle of Australia (I would tell you but my phone has no signal out here) in my cabin on the Indian Pacific which is a luxury train that goes from one side of Australia to the next with the final destination being Sydney. Looking through the window I can see a barren wasteland containing a few trees and the odd kangaroo hopping past. There is a lot of beauty to see in the Aussie desert. What’s your favourite part of Australia? Growing up in Sydney means it will always have a special place in my heart. There is just so much to do here with little secret spots hidden across the city. I will admit, I am slightly obsessed with pancakes and even though it may not be a secret, as soon as we arrive I will be spending my first morning at “Pancakes at the Rocks”. Where have you travelled to? Where’s been your fave place? Just last month I was extremely grateful to be able to tick off my 33rd country. South America and Antarctica are continents I am yet to step foot in. Canada has a soft spot for me, whether it’s the friendly people or their tasty maple syrup – it honestly has to be the best country I have ever been to. In terms of being a little more specific – the Canadian Rockies will top that list; beautiful turquoise lakes set amongst snow-capped mountains are just awe-inspiring to see in person. I have travelled primarily with my fiance Stephen, but I also love going on family trips, especially the ones where we are all island hopping together or on a cruise! What are the pros and cons of travelling with your partner? I know it sounds cheesy but there are really no cons of travelling with Stephen which is why I love exploring the world with him! Being on and off the road together for the past 7 years, we both just have an unspoken agreement on what to do. We rarely clash when deciding on where to go and what sights to see which makes him the perfect travel companion. What’s your best advice for travelling with a partner or friend? 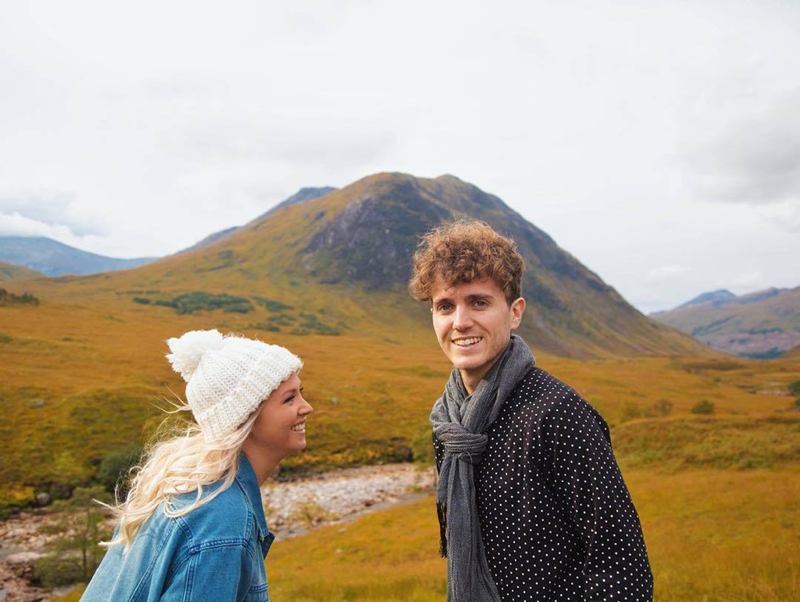 Go on small trips together before planning that incredible, month-long Eurotrip together. If you haven’t lived full time or spent a decent amount of time together you may not know what they’re truly like under pressure travelling. I have unfortunately lost a friend whilst travelling and I’ve seen it happen time and time again on small group tours. That work mate you see every day but only have a few after work drinks with may not be the ideal travel partner. But also, you never know – it’s different for everyone. 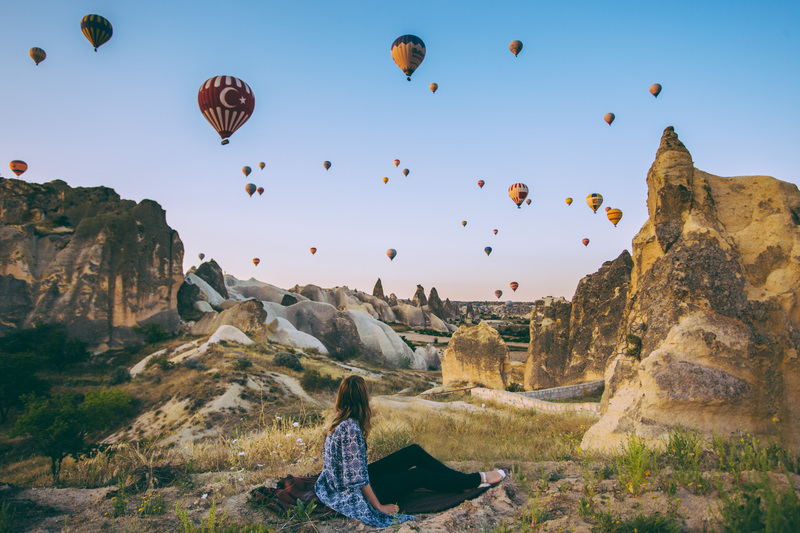 Have you or would you ever travel solo? I haven’t travelled solo before but I have a huge respect for those who do. I personally want to create and share stories with a friend or loved one. This way we can experience and reminisce on our time together during and after the trip. See the Eiffel Tower with someone I love made the experience so much more memorable. If you could move to any country or city in the world, where would it be? My first taste of Europe was for a brief moment of time at the end of 2015. Since then it has made me want more. I spent some time with Stephen’s family in the countryside of England and I think I left a part of me there. I would love to set up base in England and use it as an HQ type situation where I can see more of Europe. Follow Jess on Instagram here, and check out this couple’s amazing website! What was the pivotal moment you decided to up your roots and move overseas? When we were little we travelled to Indonesia with our family. Guess we already fell in love with the island from that moment! Dreaming about those waving palm trees growing up, by the time we had a super busy job in the Netherlands, one day we just decided, let’s go to Bali for a year! Exploring our roots and living in the sunshine to breed new inspiration and ideas. Well, that moment was seven years ago haha. Why did you decide to move with each other? We became friends when we were colleagues at work. We’re both half Indonesian, half Dutch so our dreams of exploring our roots were a total match. And we just like each other very much and both wanted a break from city life routines. Why Bali? What’s island life like? What can we say? For us, Bali represents a lifestyle of creativity, love, freedom, travel, joy, health and counting your blessings every day. Bali is a whole other world in this world, with an incredible, rich culture and beautiful people. Here you can wake up, go surf, sip a coconut and then drive into town for an incredible good coffee, vegan breakfast, and shop at the finest boutiques. For travelers, it’s the ultimate getaway because you can explore from beaches to jungle and mountains to islands. And meanwhile, live the good life – having the best food of your life, get spoiled with massages, mani-pedi’s, and dance the night away while watching the waves roll in. And it’s a place to become happy & healthy, get on a juice detox and do yoga, or get super fit at the best training studios. You’ll go home totally rebooted! What did you do to help each other settle in? Well, we were very blessed to have our uncle living on the island where we stayed for the first months. And we made beautiful friends very quickly. They welcomed us into island life and now we do that for others as well. It’s always nice to know insiders or to be able to support each other when needed. What advice would you give someone looking to move overseas? Well, we’d say just go! Haha. If you think about it too much there’s always reasons not to go, but if your heart tells you to go, just go. It sounds corny, but we believe life is a gift, so make sure you’ll never look back on on life and think ‘what if’. And hey, make it easy, because it doesn’t have to be forever! We also travel back and forth now because we love to be at both places and love to be with our family too. Live in the now and do what makes you happy. Of course, it’s important to prepare well and take time to learn the rules of the country and respect local culture. And it’s always nice to track down an insider that lives there, maybe through a mutual friend – don’t be afraid to reach out and ask the questions that you need to ask to make your step easier. What is it like traveling with your best friend? What are the pros and cons? We believe nothing’s better than making memories with your best friend or loved ones! We simply love to share special moments; we wouldn’t know what to do if we’d travel alone! Maybe we’d be Whatsapp-ing or Snapchat-ing each other all the time to show everything haha. We’re super easy travel buddies because somehow we like the same things. We get weirdly excited about good food and a beautiful place or when we’re super tired from working too much we’ll schedule a mani-pedi date. We think it’s important to travel with a friend that you know you can be yourself with 24/7. Some friends are super sweet but you can’t handle to have around all the time haha. Cons? Ehm, not many. Life is simply better together. Have you had any falling outs or disagreements whilst on your travels? Well, we have a bad habit of scheduling too many shoots on one day haha. When we’re doing a trip to shoot on the beach or at a beyond beautiful place we can get cranky because we just wanna do nothing for a moment and lay on the beach or by the pool. Sometimes we stay somewhere amazing for our #Welikesleeps feature, we’ll drive out in the evening and leave the next day at noon. We’ll be working till late night behind the laptops, soak up the view in the morning for a few breaths and then start shooting the venue and the brand collabs that we brought with us. We’ll look back at the pictures or edit the vlog and we’ll be like, we were there? Wow! Haha. We just need to remind each other sometimes that we’re blessed to be there anyway. Oh, and we can get bossy to our Instagram husbands, the poor guys haha. Arnaud and Stephen if you read this we love you so much! Haha. What’s your best tip for those looking to travel with their best friend? Make it the adventure of a lifetime. Be kind and sweet to each other, don’t judge and let each other free when needed. Best thing to do there? When in Flores, go island hopping with Le Pirate Explorer. Sail over beautiful clear blue waters, visit deserted white sandy islands, snorkel with manta rays, soak up the most magical sunsets you’ve ever seen… The boat has space for 8 people and you’ll sleep on it as well. Speaking about memories, best friends trip you can ever have! And for Bali, there are too many amazing things! We’re releasing our Welike Bali – Islandlife Travel Guide this month, with our 250 all-time favorite things to see, eat and where to stay. Definitely grab one if you’re heading to our favorite island! 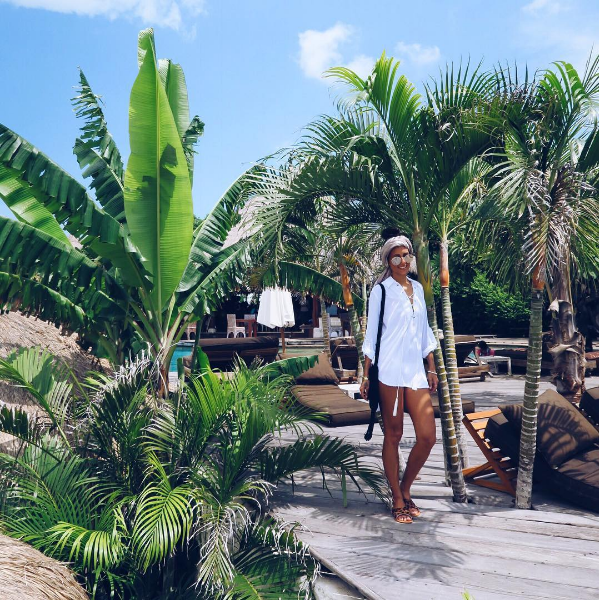 Follow Welike Bali on Instagram, and check out their website! Tell us how your love for travelling began? It all started when I took my first overseas trip to Cambodia at the age of 15. Although I experienced quite the culture shock on this trip, I quickly fell in love with discovering the world outside of the one I grew up in. A few years later, I did my first solo trip to Europe for 4 months and that’s when my travel bug became a serious disease! How many countries and continents have you travelled to? I’ve been lucky enough to visit 35 countries and 5 continents- I am yet to make it to South America and Antarctica! Where has been your favourite and why? It’s such a hard question as every country I’ve visited I’ve loved for a different reason. Overall, Turkey stands out the most. It’s such a unique country in so many ways. Situated across two continents, you see a real mix of European and Middle Eastern influence. 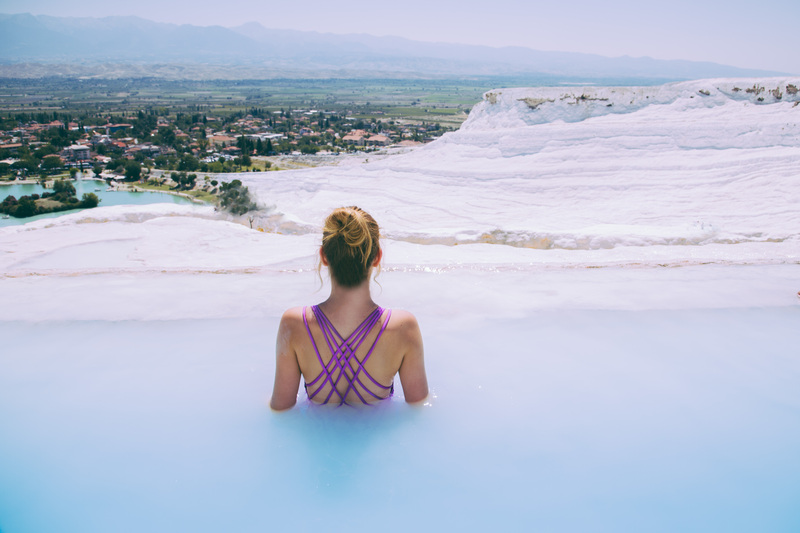 The landscapes across the country are divine- one minute you can be standing amongst the moon-like landscape of Cappadocia and the next in the calcium pools of Pammukale. 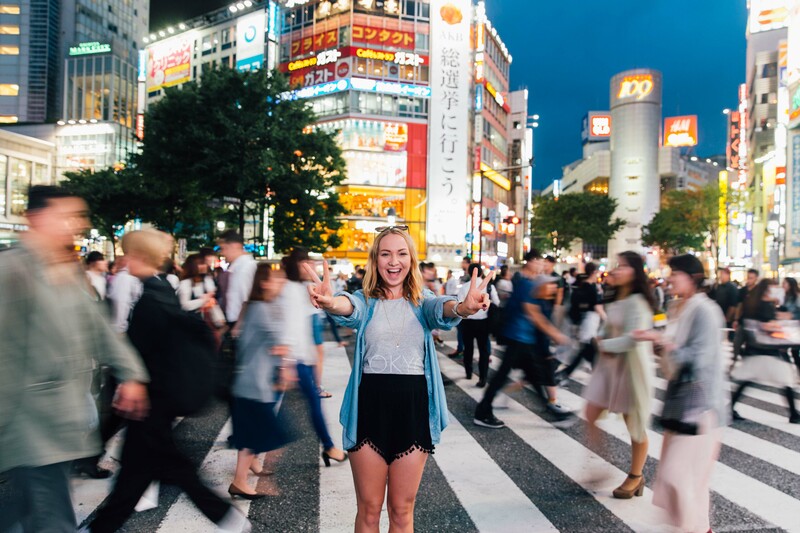 You travel solo – how do you make friends on your journeys? Hostels are definitely the best place for making friends when travelling! Most people staying at hostels are super friendly and keen to hang out. What’s the best part of travelling solo? The freedom of being able to do whatever you want whenever you want. It also challenges you to be independent and be content in your own company which I think is so important. Any advice for young females who do decide to travel solo? Have street smarts and always follow your gut – if you get yourself into a situation that you are unsure about its always best to air on the safe side. Also, always let someone know where you are at any given time. Best tech apps you swear by? Rome2Rio for finding the cheapest way to get to a place and TripIt for organising itineraries. What is your must-do whilst overseas? Finding the best viewpoint in every destination and having a sunset picnic. There’s no place like home – favourite Australian destination and why? I recently visited Tasmania and really feel in love with the place. It’s so different to everywhere else in Australia, and I love the uniqueness of its landscapes. I also love how underpopulated the island is- you can walk on the most incredible white sand beaches and swim in turquoise waters without another person in sight. Follow the Polkadot Passport on Instagram, and check out her website! Cover photo by Polkadot Passport.